So why is it so important to get the transition right? Well, like thousands I remember each transition as clear as yesterday, the anxiety, fear, and excitement of the shift from primary school to intermediate school, and on to secondary school. Powhiri or an assembly and you’d see familiar faces and new faces then I’d just hope, that the educated teacher may have taken the time to learn the correct pronunciation of my name? Then my names read out, “Conrad Whitehall or Wai|tow|ar” I’d think, nope, but now I’m expected to etu (stand) and walk tall and proud to the teacher in both worlds? te ao Māori me te ao Pākehā (the Māori world and the Pākehā world). I’d get to where the teacher is standing, normally in the front of everyone and I’d really want to say, my surname is pronounced “Waitoa” From Reverend Hone Waitoa, a missionary minister at Te Araroa and my Papa Henare Waitoa who was a great composer of waiata (songs) Tomo Mai e Tama Ma and many more and my Dad, Enoka (Togi) Waitoa an amazing father, papa and kaumatua to many, but I don’t, in fear of being singled out as a troublemaking. So I tow, Wai|tow|ar, the line and the excitement goes and the anxiety takes over. I’d get to my new classroom, it was always set up for the teacher, never boy or culturally friendly but hey, why should it be? I was only the client. The next feeling was fear, what did my last school write about and will my new teachers actually make an effort to get to know who I am as of today or “not”, and take the word from an “OTJ” Own Teacher Judgement report from my last school? Amazingly, some of us can change in a 6 week period. Our tamariki (child's) wellbeing and learning must be maintained as they transition from Primary, Intermediate, and on to High Schools. A tamariki’s transition can be complicated by the emotional, physiological and social changes that can negatively impact on their learning. Awesome Schools with outstanding Kaiako (teachers) that understand how these changes impact on our tamariki, their students are better placed to help make positive adjustments to their new school. Students need to make positive adjustments to their new school and classes so that their wellbeing is maintained and their learning is coherent and continuous. Poor transitions impact on students’ well-being and on their achievement in the future. Where students experience multiple transitions because of transience, there are identifiable negative impacts on their achievement. When students change class within or between schools, they must adjust to new surroundings, become familiar with new teachers and peers, learn new ways of working and make sense of the rules and routines that operate in their classes. While students are navigating the formal school environment, they are also adjusting to the social changes that happen when changing schools and classes. they have opportunities to try new, exciting things and/or extend their particular skills/interests (e.g., through extra-curricular activities). Parents, caregivers, whānau, and champions from Inspire In Education, are key players in the transition process. The extent and quality of communication amongst schools and families will impact considerably in successful transitions. Management and teachers at primary, intermediate and high schools have important roles supporting the transitions of all students. 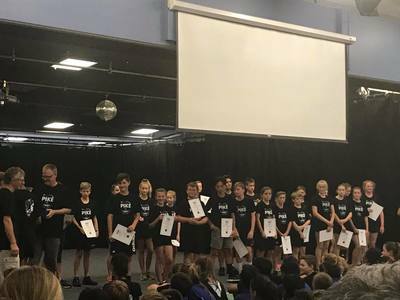 Primary and Intermediate schools are responsible for preparing students academically and socially for High schools and sharing information with the student, families, whānau and the receiving school. 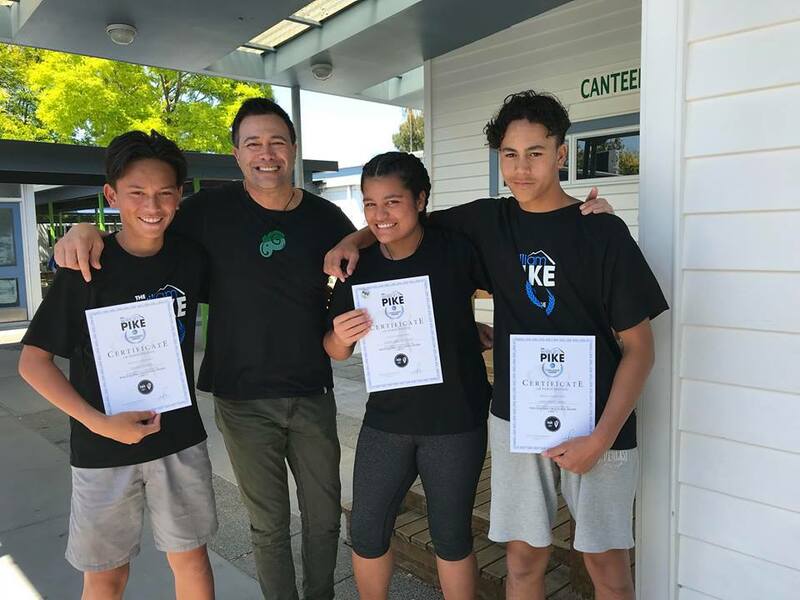 The values, ethical orientation or culture within a High school is fundamental to how well it welcomes and supports students and their whanau. The students will stay at school, engage in learning and achieve NCEA qualification when they experience a curriculum that has to mean for them. Teachers who find out about and focus on students’ interests, cultural background, strengths, achievement levels, and needs can provide such a meaningful curriculum. Responding to the cultural background of students. Foster, an educational environment that focuses on the importance of the Treaty of Waitangi in education. Part of knowing the student is to explore the cultural capital they have and use their knowledge to shape the curriculum. This can help students feel a sense of belonging in the school and connectedness to their own cultural roots. Set up a Learning Plan and review it with the student. So, it is important for every school to think of the transition as a process rather than an event. And at the start of each new year, where the whanau don’t have internet or email access, hey, pick up the phone and have a korero or email out the student’s class teacher and room number with a map of the school. How exciting would it be to sneak a peek at your new classroom during the holidays and to know that your name won’t be mispronounced in front of your new school? 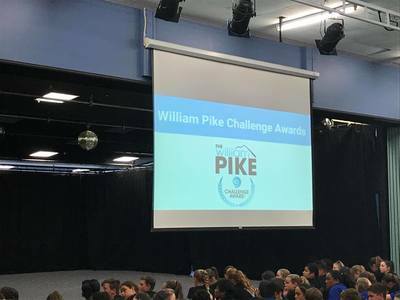 Congratulations to our Inspire In Education students, Dayton, Jazmin and Jason on achieving their William Pike Challenge Award 磊 with 3 x 100% completions. We’ve enjoyed mentoring you along with way, but this is all your very own achievements. WPCA love helping educators create adventurous opportunities for youth to develop life skills, knowledge and awareness of their community. The WPCA framework creates the conditions to build resilience, connectedness, leadership and a growth mindset through outdoor challenges, community service and passion projects. Our flexible structure helps passionate educators deliver purposeful Education Outside the Classroom (EOTC) to develop a positive youth culture. Educators and young people use our innovative software to track progress, save time and access resources. Every child is entitled to have a good start in life. It isn’t where you start in life, it's what you do with life that determines where you end up in life, and we are blessed to be living in a country that, no matter where we start, we have opportunities so long as we believe in our self, we believe in the society and the country, and we believe that we can self-improve and educate our self as we go along. And that's the key to success. But it begins with the gift of a good start. If we don't give that gift to each and every one of our tamariki (children), if we don't invest at the earliest age, we're going to be running into difficulties. It's why we have a dropout rate of roughly 25 percent overall and almost 50 percent of our minority population living in low-income areas because they're not getting the gift of a good start. "Teaching and learning should bring joy. How powerful would our world be if we had kids who were not afraid to take risks, who were not afraid to think, and who had a champion? Every child deserves a champion, an adult who will never give up on them, who understands the power of connection, and insists that they become the best that they can possibly be. Is this job tough? Yes. But it is not impossible. We can do this. We're born to make a difference." So, it's so essential that we put this culture back into our schools, whanau, communities, and students. The Effective Teaching Profile consists of six elements. Ako – teachers can use strategies that promote effective teaching interactions and relationships with their learners. Manaakitanga – teachers care for their students as culturally located human beings above all else. Mana Motuhake – teachers care about the performance of their students. Nga Whakapiringatanga – teachers are able to create a secure, well-managed learning environment. 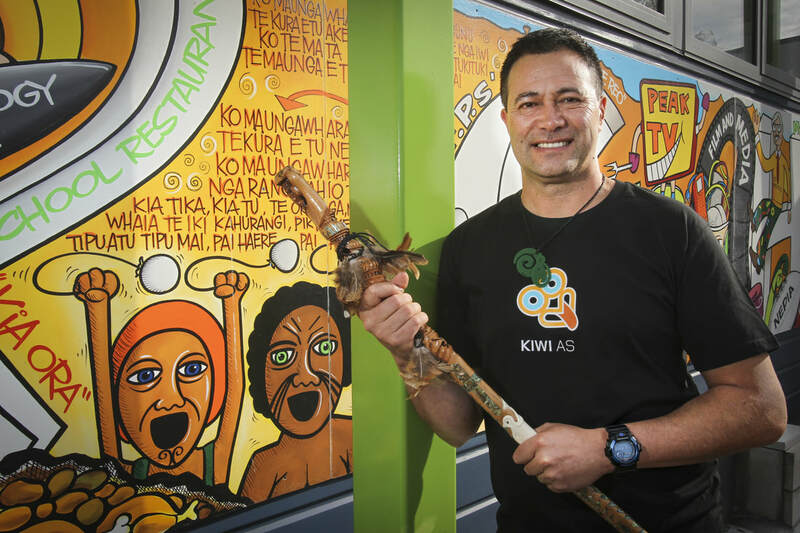 Kotahitanga – teachers promote, monitor and reflect on outcomes that in turn lead to improvements in educational achievement for Māori students. ​Monitor Maori student achievement data and use this information to modify teaching practices, sharing this information with students and whanau so that they are fully involved in the learning journey. 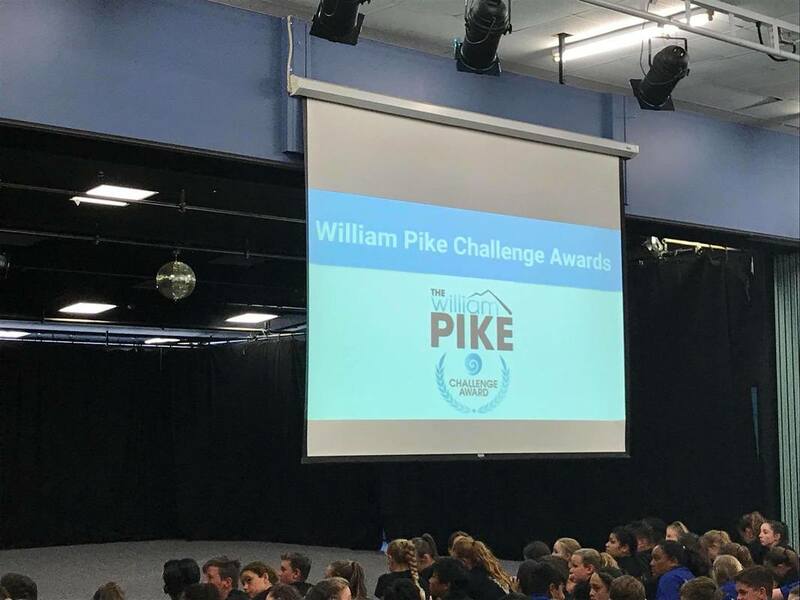 Target: To have more Maori learners, engaged and focused on achieving National Standards in Reading, Writing and Mathematics by the end of Year 8. Creating future-focused learning environments. Exploring the types of learner and teacher practices, and environments that promote learning and also develop skills of collaboration, resilience, and citizenship. Aim for all students to learn in an inclusive environment that celebrates and responds to cultures from across the globe. We believe that effective home-school partnerships are a key ingredient in student learning and that our local community provides many rich opportunities for students to learn in authentic situations alongside the people within the community. Enables school leaders, and the wider school community, to focus on changing school structures and organisations to more effectively support teachers in this endeavour. That feeling you get when you're about to speak, do I really fit in, will they accept me, will I get the vote the tick of approval. This was my head space until a few years ago. When I whaikōrero (make a formal speech) to an audience I will always open with a karakia ( verb -tia to recite ritual chants, say grace, pray, recite a prayer, chant) and my pepeha ( noun: tribal saying, tribal motto, proverb (especially about a tribe), set form of words, formulaic expression, saying of the ancestors, figure of speech, motto, slogan - set sayings known for their economy of words and metaphor and encapsulating many Māori values and human characteristics) regardless of my time limit | topic | agenda and the status of the audience. To me if nothing else you'll leave knowing who I am and where I am from. I'm not fluent in te reo but I'm extremely proud of who I am and my future! I recently watched presenters speaking to an audience two of the six were Māori tane (male) and one referenced to being fluent in Te Reo. And to my surprise, one opened with Kia Ora (hello) ended with thank you and the fluent speaker opened and closed in English. Each speaker had an opportunity to open and introduce themselves and then 5-6 further opportunities to answers questions from the floor and 5 minutes with a closing statement. All 6 presenters delivered in English to a live audience 95% pakeha | non-Māori and live-streamed to a bi-culture audience. Now some were very good, good and like some auditions on TV shows like the X Factor, need the whanau (family) and takatāpui (close friends) to be more honest before they attempt such acts! So I sit here wondering why? Why didn't our proud Māori kawatau (verb: to speak frequently of one's intentions, speak frequently of one's expectations) in te reo then English regardless of the time limits or their reason for being on stage? I know they're not embarrassed to be Māori but I at least expected the fluent speaker to take the opportunity to whakapapa (noun his genealogy, genealogical table, lineage, descent - reciting whakapapa is, an important skill and reflects the importance of genealogies in Māori society in terms of leadership, land and fishing rights, kinship and status). If you're speaking and have a second language, regardless of the audience stand proud and tell them who you are and where you're from in your waiwaiā (beautiful) native tongue and it only takes me 57.44 sec and I'm not fluent but within that time acknowledge our creator, the past, present and my whakapapa (genealogy). I'll leave you all with this thought - When we don't offer our pepeha te reo or English, it is like answering a phone call from a blocked number - hello, hello, who is it? who? where are you calling from? who? from where? 90% of us will hang up because we don't know who the caller is or we'll let them talk and finish the call and still be none the wiser!